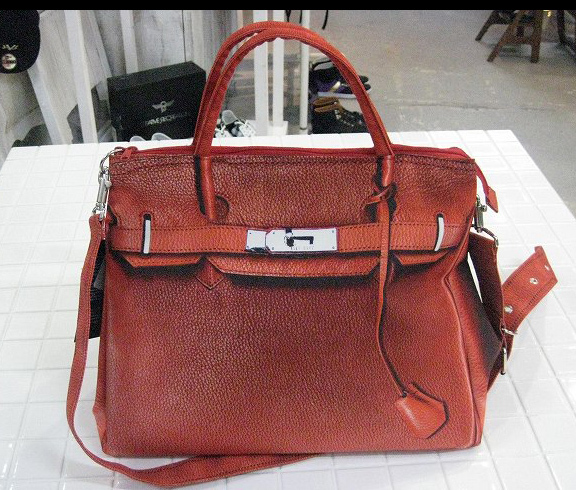 Hermes Birkin inspired photo print handbag by Talking About The Abstraction (T.A.T.A) baby line. I came to know of this brand from ‘女人我最大’ and I thought maybe I’ll check this out in HKG when I’m there but guess what, next year I’ll be able to get it from its originated country! I will go fashion-crazy in that super high fashion country!!! HEH. Edit: I’m very sure D will like this too! Maybe I’ll get him the one in black! We’ll have our 1st couple bag!! COOLness. Now it seems familiar. 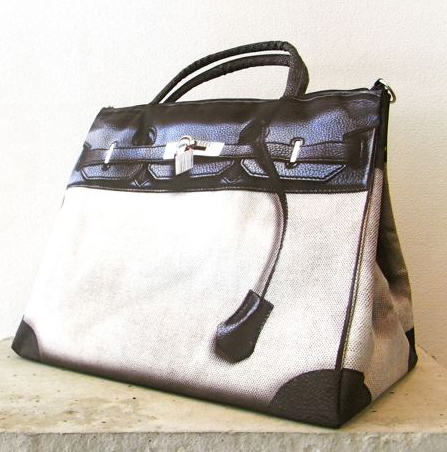 The bag which i bought from PiGi Mall is an inspired piece! muahahhahaha! Simi printed? U mean chiong one lah isit? But for once, we reali have the same taste in bags cos this not like ur style mah… hahaha… even tho mine is not the real thing lah. Oh oh! hahahahahah… BUt it reali does look like the one i got lah. Hahahah… paiseh! 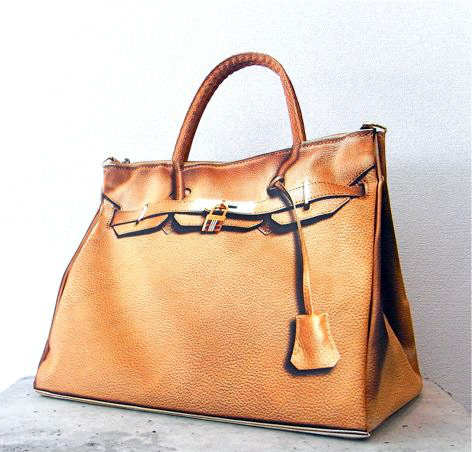 the bag so quirky… one of a kind lah! i say so too babe!!!!!!!! ONE OF A KIND!!! hahahaha… imagine i hook it over dom and dom hooks one over me and shouts HAPPY 7YRS on mount ____!!! lol coolness!!!!!!!!!!!!! hahahaha… when i get it next year, i’ll be sure to show k?? yuppieeeeee.